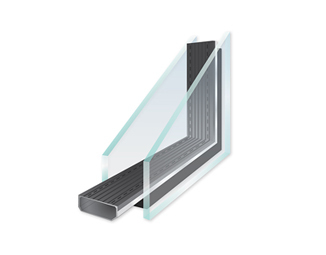 Profilglass® Spacer Bars are rigid, aluminium tube spacers to separate two or more panes of glass in an insulated glass unit. 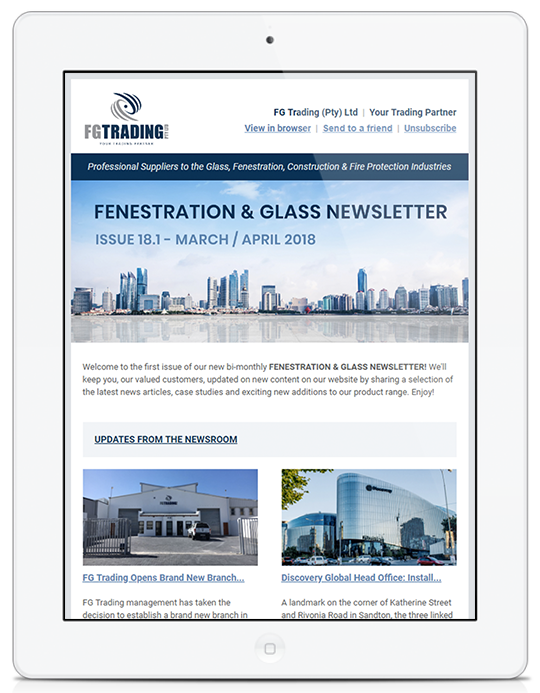 FG Trading is the exclusive distributor of Profilglass spacer bars across Southern Africa and has comprehensive stocks of spacers ranging in air space size. Sizes: 6mm, 8mm, 10mm, 12mm, 16mm, 19mm and 26.5mm in a mill finish and 6mm, 10mm, 12mm and 16mm in a black colour finish. Spacer frames constructed with Profilglass spacer bars can be filled with our high performance Sivlite™ Desiccant and applied to the glass with one of our polyisobutylene primary sealants which include PIB Tape, GD115 or JS680. FG Trading also carry in stock all accessories required to complete a double glazed unit from straight line connectors, corner keys, gas fill corner keys, adjustable corner keys, etc. as well as various secondary sealants that offer excellent adhesion to glass and aluminium. 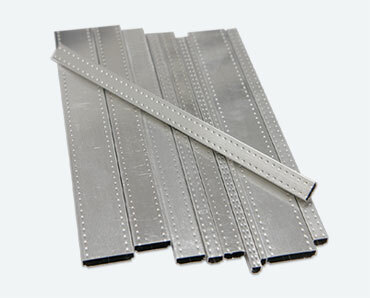 Aluminium spacer bars are usually mill finish (silver). 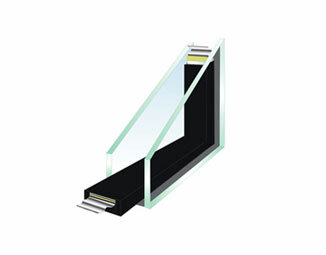 If the unit is for use in structural or frameless glazing especially with semi-transparent or clear double glass a black colour finish may be preferable from an aesthetic point of view. This will maintain edge colour consistency, eliminate contrast between a silver spacer bar and black structural silicone and ensure that any incident PIB residue is less noticeable.